Our mission is to bring Event Lead Capture into the modern era and truly connect an organisation’s events with their sales and marketing. We are challenging and disrupting the status quo in the events industry, putting the power back in the hands of the paying exhibitors. 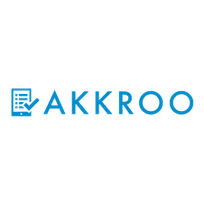 Akkroo is at the forefront of this new, emerging software category, building a market leading solution for businesses where exhibiting at events plays a major strategic role. Building a product is not our only focus however. We are also wholly committed to building a sustainable organisation that retains and develops a world class diverse team and culture.